My students are signing up for next semester's courses. I try to give them good advice about prerequisites, major requirements, and the importance of choosing alternate courses before they sit in front of the computer screen for the online registration. Most of them are very organized and come with a plan. Each year, one or two come with no clue. I wonder how their lives will unfold. In the garden, the flowers are coming on a bit later than last year. We continue to live in a cold snap. I wonder where that expression, "cold snap" came from. Sounds like a poem. The Maryland Writer's Association has published an anthology of poems about love, and three of my poems are included in it! 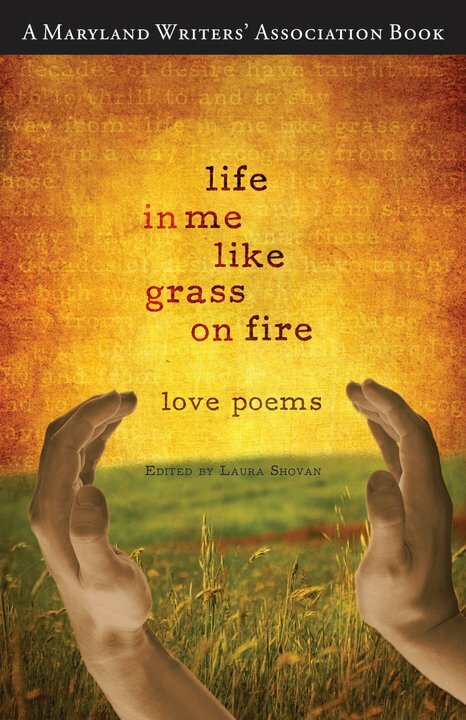 I love the title, Life in Me Like Grass on Fire - and the cover art. I'm reading this book right now; am about a third of the way through it. It is gripping; the story of cancer and the evolution of cancer treatment. The author, an oncologist, is an excellent writer, and he tells his story in a way that is not only understandable to a non-scientist like me, but tremendously interesting. 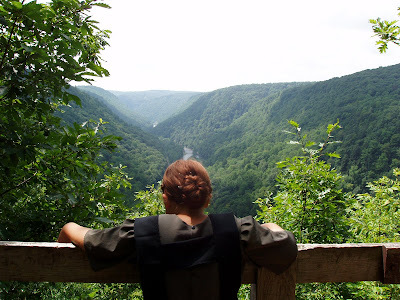 I don't think it's interesting to me just because of my own experience with cancer. However, I must say that I have learned more about my own struggles with anemia in this book that anywhere else. I keep reflecting on how little my doctors told me. They told me what they assumed I could understand, but I was capable of understanding so much more. However, I did not even know what questions to ask! 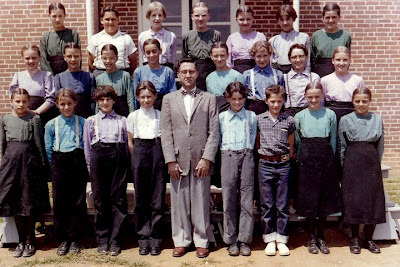 through the gracious friendship of my Mennonite first cousin Glenford. It is quite a story. 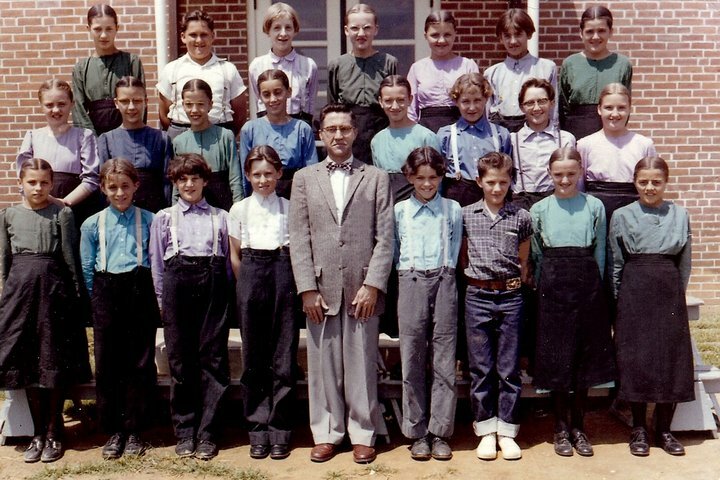 Here is a photo of my Uncle Harold Kauffman ( Mennonite) when he was teaching in an Amish school. The other photo is the back of my second cousin twice removed, Rachel Stoltzfus. 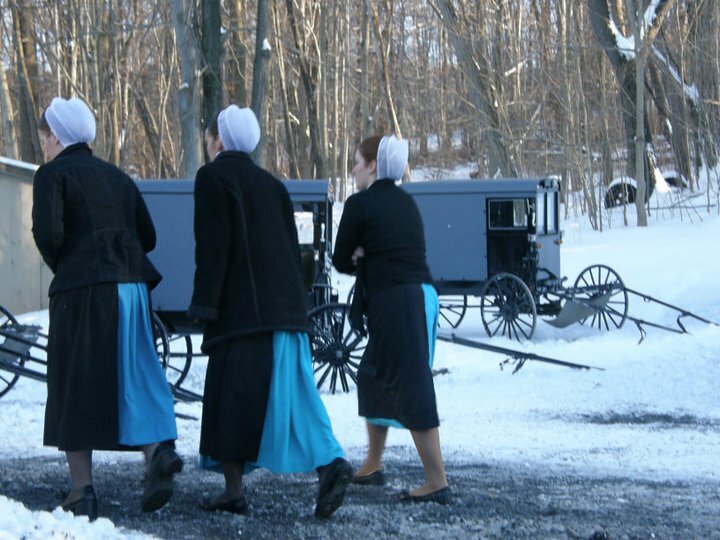 The third photo is one my cousin Glenford took recently of some girls going into an Amish wedding in Perry County, PA.